There are hundreds of real estate marketing strategies available, some are dated and simply don't work anymore, but here are the Top 100 Strategies To Know For 2019. Be sure to get your Free Download Below that includes 2019 Unique Monthly Themes and Special Dates. Go through them. You're bound to find several that'll work for you, expose you to new strategies and take your business to the next level. 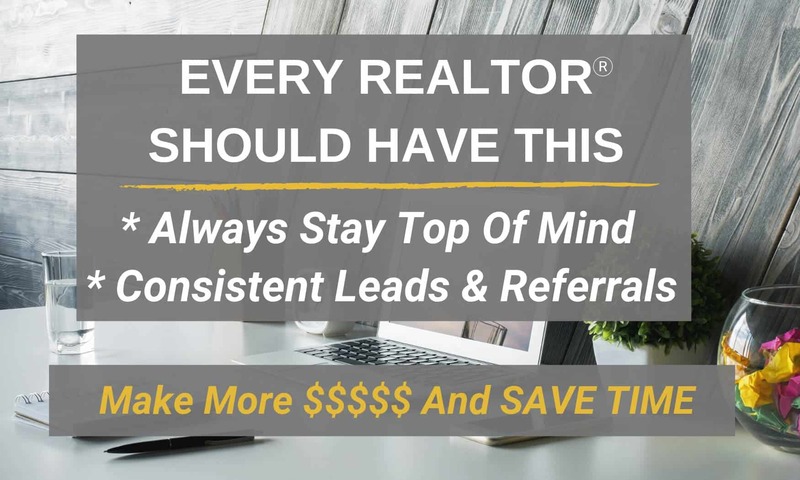 Opportunities come to those prepared...prepare, execute and generate real estate leads using these marketing strategies specific to Realtors. Take action and stay consistent! The binder sets you up as a true professional. I’m surprised at the number of agents who don’t give one to clients and prospects. I have clients tell me years later they still have theirs and they’ve kept all their home selling/buying info in it. It was easy reference. Go To: RealEstateSpice.com/binder for information and your free template on what I include in my binder. 2) Your team. Your team is part of your real estate marketing brand. You are the product. Your team is the product. The team is not only agents who work with you but also includes your preferred Title Companies, your preferred lenders, your photographers and your home inspectors. They are a representation of you. If someone on your team is not providing the level of service to your clients (and you) let them go…find someone else who will. I usually have at least a conversation with the person before this happens. It’s a case by case basis. Your team is part of your marketing brand. Make no mistake…your team is part of your real estate marketing strategy. 3) A strategic realtor newsletter. Use the power of email and automation. This is one of the easiest and most consistent ways to stay in front of your sphere and prospects. In fact a Forbes recent article states it's still the number one way to generate leads. Visuals and strategic formatting make your e-zines (Realtor Newsletter) extremely effective for your own real estate lead generation and referrals. Ensure you offer valuable home tips. Real Estate Buyer Tips. Seller Tips. Be Strategic with creating links in your newsletter so you can see who is engaged and what they’re clicking on. I always include something for buyers and sellers…if I see someone clicked on a link it’s a good flag to me they may be buying or selling soon. Save time, money, STAY TOP OF MIND AND GENERATE SELLER AND BUYER LEADS CONSISTENTLY…This super simple E-Zine Works So Well…It'll pay you great dividends! Click Here To LEARN MORE. 4) Have an excellent real estate website with a search feature your clients and users LOVE. My Realtor website provider allows people to search homes, save favorites, receive updates on their favorites and create their own hotsheets. Leads/subscribers are notified immediately (it's automated) via email of any changes on their saved favorites. I've used this company for years and they have all these features at an incredibly low price of $59/MO. In fact here is their PRICE GUARANTEE “We're so sure we provide the best value for your dollar, if you can find any Real Estate Website Provider who has the same features at a lower price, we'll beat their price! You want to ensure your website has an easy to use search feature. I've received so many compliments on my search feature and how much my clients LOVE USING MY WEBSITE. They also receive new listings in areas they like. A lot of my tech savvy clients and ones who love to do things on their own use this feature. I can see what they're saving, viewing, etc on the back end. Start your own site with them and your first 30 days are free and there are no set up fees! Develop raving fans that keep coming back to your site. 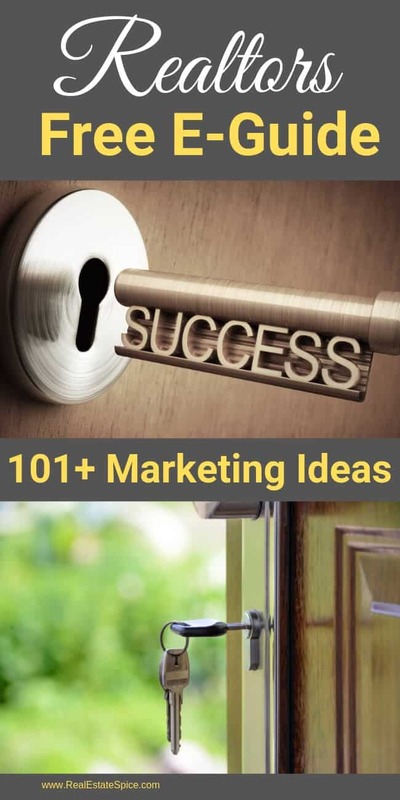 BELOW: Get your 101+ Real Estate Marketing Strategies WITH UNIQUE MONTHLY THEMES AND DATES FOR 2019. No more thinking about how you can stay top of mind and rack your brain on how to generate leads. People have insisted on paying for this…I said no, it's yours…but it's that good. Get your FREE Download below. 5) Make Your Real Estate Listings Stand Out. I get top dollar for my listings and often put them under contract within a relatively short period of time. Use twilight photos (along with day photos) and learn to effectively write copy (remarks) that psychologically draw buyers in and makes them ‘have to have the home’ before they even step on to the property. Highlight the surrounding area too…not just the house. You’ll get referrals from your sellers because you were a star when selling their home! 6) Farm frequently traveled roads and streets. This listing can be a free Billboard For YOU! When you get a real estate listing on one of these streets it's a ‘free billboard' for you! I've had so many excellent leads (and sales) that have come from my listings on frequently traveled roads. 7) Add lighting to your real estate listing signs. You can find solar-powered ones or ones that run on batteries so you don't have to worry about finding an electrical outlet. Part of your real estate marketing strategy should be your branding. This is a great way for people to see you and your branding. Your listing signs are your Realtor “Billboards.” Make them stand out and pop! Get people's attention with your listing signs and become known as the local go to real estate agent. 8) Develop relationships with local shops in your area as part of your real estate marketing strategy. This Forbes article highlights how a Realtor can claim a territory in real estate. 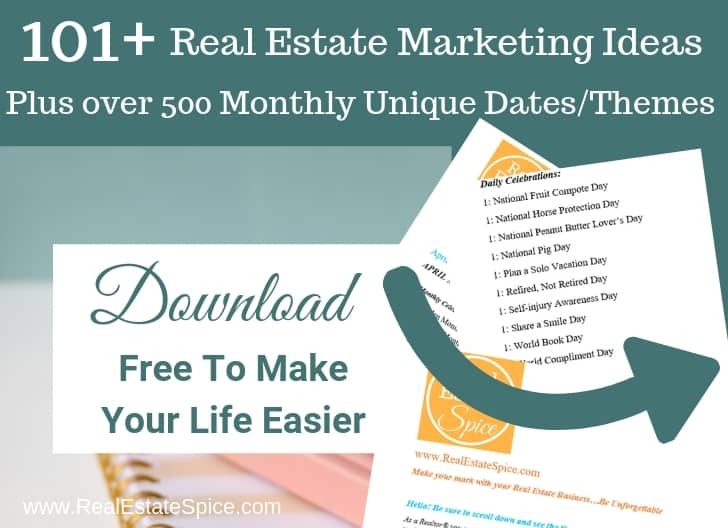 Use the Monthly Themes and Special Holidays at the end of these 101+ Real Estate Marketing Ideas to create buzz around certain theme months. For example “Celebrate Your Veterinarian” Day and highlight a veterinarian or a few in your community… or “Donut Day” and create some promotions with a local bakery or donut shop. There's also recognized theme months and you can create some promotions around those with local business. This can be one of your best real estate marketing strategies. It positions you as a local authority. Bill Gassett, a top Broker in Massachusetts…maxrealestateexposure.com, excels at this. He delivers exceptional service to his clients, continues to stay abreast of the real estate market, advises his clients accordingly…and is rewarded with great testimonials. His clients love him and refer him all the time. Provide exceptional service, get awesome testimonials and place them on your website for all to see. 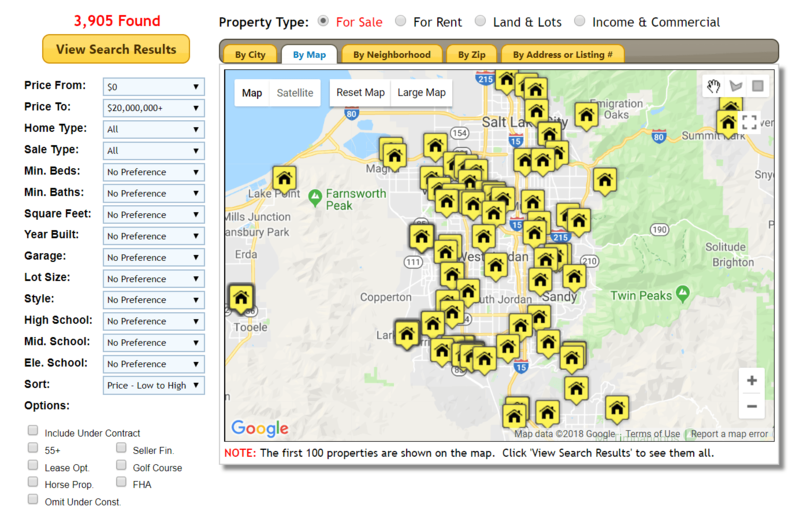 10) Market HUD homes to generate real estate leads. This has literally made me THOUSANDS OF DOLLARS over the years. I've had many Realtors ask me how to generate real estate leads through this and turn them into clients. Learn how to do this step by step. 11) Engage with corporate recruiters and recruiting companies. Develop relationships with them and have them send you referrals for people who will be relocating to your area. Create community information packets that would be helpful for people out of state. Create online articles (and link to those articles) that speak to people who may be moving to your area. 12) Develop relationships with the human resource departments of local businesses. Create home buying/home seller programs exclusive to their company. It's an added perk for their employees! 13) Pick up the phone and call a past client. Say hello without a purpose. Leave a voicemail message if they're not available. It can be something so simple as a hello and you're thinking about them. I've had clients call me months later thanking me for the voicemail, it made their day…and they want to sell their home now. They didn't call back then but they REMEMBERED IT and HOW IT MADE THEM FEEL. It keeps you IN FRONT OF THEM. Don't Miss This…Join Us Below! 14) Include Current Real Estate Market Updates On your website. This offers valuable information to your sellers, buyers and community. Anita Clark, a top Realtor in Georgia, displays market reports for several areas in the state. She's a true professional and you can see how she's the market expert in her area. Real Estate Market reports are typically easy to access. Contact your local and/or state board for information. 15) Have 1 or 2 taglines you use in all of your real estate marketing and emails. Remember, part of your real estate strategy should be your branding. A tagline helps people remember you. It's part of your branding! People love to see who they're corresponding with. Email can be so impersonal. We're in a relationship business…let them see you whenever you email them! Use the ideas above or anything else that'll be a strong call to action and/or a Unique Selling Proposition. BELOW: Get your 101+ Real Estate Marketing Strategies WITH Unique Monthly Themes and Special Dates. No more thinking about how you can stay top of mind and rack your brain on how to generate leads. People have insisted on paying for this…I said no, it's yours…but it's that good. Get your FREE E-Guide below. 20) Create hot sheets for your real estate leads. Email them directly and make it personal. 21) Your professional Realtor photo. Ensure you have a nicely done photo that speaks to your niche. This photo will vary from market to market. Contact your SOI (Sphere Of Influence) and offer to conduct CMA's for them. Definitely include a link in your E-zine (newsletter) for a free CMA. Offer CMA's to FSBO's. 23) Have some real estate flyers and brochures made that offer helpful/valuable information to buyers and sellers. Make a quick stop at a grocery store and pick up a simple ‘treat' and a card. Write a personal note in the card, put all of it in a bag and leave it at their door. Text them you left a little something for them…you were thinking of them. They'll LOVE the surprise, the thoughtfulness and you could seriously make someone's day! 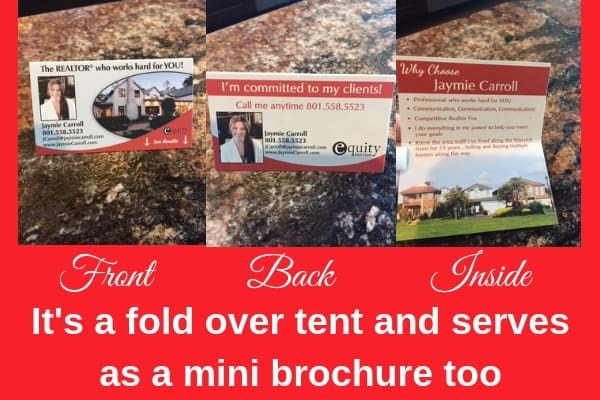 25) Your realtor Business Card Can Serve Multiple Purposes. I have fold-over business cards that stand upright like a tent. I leave them everywhere and particularly at homes I show. It's very prevalent and stands apart since it stands up. Plus, it's a mini-marketing brochure since there's enough room for copy. It's nicely done and people usually keep it…they don't throw it away. 26) Valuable Information on your business card. You can include something that people will use all year round on your card so they'll want to keep it. 27) Join a local group or meetup that enjoys similar hobbies as you. 28) Create your own contact information in your phone. Have your business picture in there, your tagline and all of your contact information. When someone asks for your card or your contact information you can simply text (or email) YOU, saved as a contact, in your phone. There are also a number of virtual card business apps. Google Virtual Business Cards and you'll see them. 29) Always ask for someone's email address. Simply say, “Would you mind if I send you my monthly e-zine? It includes the most recent real estate news, home tips and maintenance and things to do in the area…what's your email address?” The majority of people will give you their email address. Put them on your subscriber list to receive your monthly newsletter/E-zine. See creating a strategic newsletter that gets you leads and referrals. 30) Create valuable, useful home and maintenance tips on your real estate website. If you'd like to save time, use these free editable PDF's for Realtors. 31) Ensure you have an opt-in on your website. Have a way to capture emails (and phone numbers) if possible on your site. Make it enticing or if they have to access something they need to sign in with their email address (and/or phone number). Send an email blast to your customers and real estate prospects before a holiday and have them respond to enter a raffle or giveaway. Use the unique monthly themes/special days included in this free download for ideas and inspiration. 33) Have a unique signature item you're known for. Something that sets you apart from other agents…maybe it's a unique hat, a style/attire. Be you and get creative. 34) Get some ‘swag' promotional products with your real estate branding. I've used, www.DiscountMugs.com. They have tons more products than mugs. I created my customized pens right on their website. Take a peak…it's cool to see the options and it will get your Realtor marketing juices flowing. Have useful items created so your SOI and clients will want to keep and use them! 35) Write and publish your own Real Estate EBook and/or printed book for Buyers and Sellers. This is a powerful way to establish yourself as an authority. If you're not comfortable with writing or you have other reasons you can't write now…you can have a ghost writer do it for you. Establish an outline with some topics and key areas to address and then have someone else fill in the blanks. The book doesn't have to be long…in fact it shouldn't! This is a powerful marketing piece for you. 36) Write regularly on your blog. If you want to establish yourself as the primary Realtor in your area this is a great way. You can optimize it with keywords so you also show up in search engines. You can take a topic, write your own summary and link to an article from Houselogic.com. It offers a variety of homeowner and maintenance tips, remodel tips, seasonal ideas and the site is published by the National Association of Realtors. Use this real estate marketing strategy to be known as the local resource in your area. 37) Create your own real estate hot tips for buyers or sellers using a great photo and CTA (call to action) that drives them to your website. You can use Canva for this too. Create something that can be shared on social media, in your E-zine and other places. It will drive them to your site where they can read it in your realtor blog post. 38) Use the idea above in 37 but create a landing page. When they arrive at your landing page they have to opt-in with their email address to receive the material or access something. 39) Give potential buyers and sellers a financial sheet. You can offer this in a print flyer or send via email. Include your branding and contact information. List all potential costs involved when buying or selling. There are title costs, inspection, appraisal, etc. For us, Realtors, it's commonplace but for our potential clients it's not. This is very helpful information and they appreciate it! 40) Offer real estate online tools and calculators. You can link to other helpful tools for buyers and sellers. You can link from your website, on your social media pages, in your E-Zine (newsletter)…include in an email. Here are 4 calculators to begin with. I also share a mortgage calculator app for their phone. It makes it easy for them if you send them links! 41) Go to your city planning meetings and/or review the minutes online. This will keep you posted on what's happening in your area and you can share with clients/prospects and/or make a quick ‘hot real estate tips to know' in your area. 42) See what's going on with builders in your city (find out from the city meetings/city planner) and Contact Builders. All new build communities have to go through the city planner. See what builders are doing and contact them to list their new build/communities. 43) Meet with the city planner. Call the city planner and schedule a meeting. Develop a relationship with your city planner. Stay abreast of current and future plans are for your city. Share this information with your clients and sphere. 44) The minute you have a real estate lead call them. If you can't at that moment then text them. It's important to respond quickly. The reality is they most likely are speaking with multiple realtors or have been referred to multiple realtors. Stand out and shine…respond quickly or have an assistant do so. If you can't call them text them. Include your tagline and you can also direct them to something that's helpful to them on your website. Let them know why you can't talk (people are okay when given an explanation) and let them know when you or someone else can call them. 45) Happy birthday texts and/or calls. There are many companies offering specialized texting features. Google and see which ones may fit your needs. 46) Create theme months using the monthly themes and unique dates offered in the below free download. Offer a tip for the month using one of the unique themes/days in your real estate marketing. 47) Meet with apartment complex managers. Target certain areas and conduct PR (public relation) calls to the apartment complex managers. Meet with them in person. Drop off treats, your real estate marketing materials and cards. Create professional packets for them. They always have people moving and ready to purchase a home. 48) Develop an educational course (either via email drips or online through video, etc) for buyers and sellers. By doing this you create a valuable resource for buyers and sellers. Educate them on the buying and/or selling process. Once you have this done it's an automated tool for you. All you have to do is send the link/the course to them. Have interesting boards that appeal to your market. Don't just stick with your listings and real estate advice. Women mostly use Pinterest, however, men are using it more and more. Have boards on kitchens, home ‘command' stations, gardening, remodeling, garages, landscaping, before and after boards…make it interesting and inspiring! People use pinterest for inspiration. Make sure you link to your website. Explain in your profile who you are and what you do for your customers and leads. Do you want even more exposure and help with Pinterest? It's Pinterest on steroids when you use the TailwindApp. This application is a superpower and automates, saves you time and has great features to elevate your Pinterest marketing efforts! Developing a marketing strategy is crucial to stay competitive. You need one to consistently generate leads and referrals. Implement some or several of these and you'll be known as the go-to real estate market expert and you'll continue to develop an even stronger business! Make sure you get your 101+ Real Estate Marketing Strategies for 2019 Above. Included are monthly themes and special dates that you can create social media posts around, events, raffles, giveaways and interesting promotions. 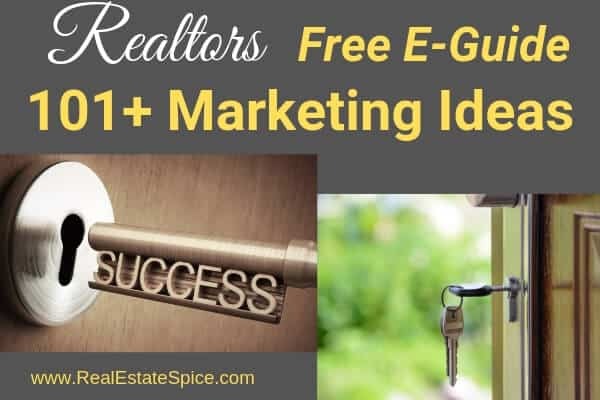 There are so many real estate marketing ideas for seasoned and new agents. Infuse some new real estate marketing strategies in your business. Sometimes new actions and strategies are just what we need. Comment below with your thoughts and ideas. I love to hear them! Wow! Very impressive list. I will take some time to study these. Thanks. I’m so glad. Thanks for stopping by! Check out the other articles and information on the site too. This blog is definitely helpful and informative. Great blog by the way and thanks for sharing these real estate marketing strategies! Thank you! I’m so glad you find it helpful and informative…that’s my intention. Thanks much for taking a moment and commenting!